The 14th Annual Lahaina Town Clean Up, Get the Drift and Bag It, is a great way for visitors and Maui residents to join forces in a global movement to remove litter debris from our beautiful Maui coast line. The statewide campaign is a part of the Ocean Conservancy’s International Coastal Cleanup that kicks off annually on the third Saturday in September. When: Saturday, September 15th, from 9:00am to 1:00pm. Where: Kamehameha Iki Park on Front Street, Lahaina. The Chinese Moon Festival is always a great cultural experience for the family and really everyone of all ages! 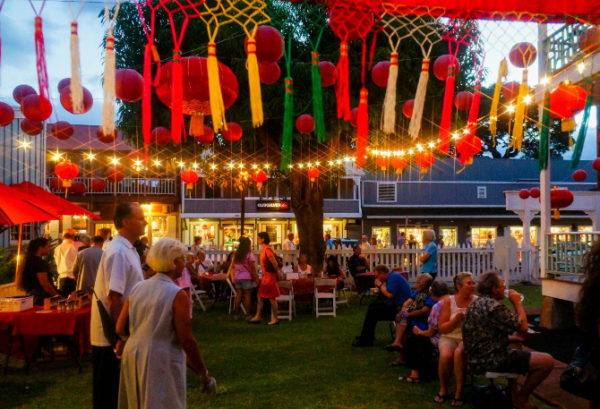 Lahaina Town honors the local bounty of produce grown on island as well as showcases the traditions of Chinese culture. A wide range of activities include displays of lanterns and offerings to the moon goddess at Wo Hing Museum, while the kids can enjoy a hands on activity making paper lanterns. Everyone is welcome and given the chance to explore cultural activities, listen to traditional music, and partake in Chinese cooking demos. There is even a special treat, Chinese moon cakes are available for sale! The best part is it is FREE admission. When: Saturday, September 22nd, from 5:00pm to 9:00 pm. Where: Wo Hing Museum on Front Street. Don’t miss out on not one, but two opportunities to learn origami (Japanese paper folding) techniques: Exhibit-Related Workshop: Bringing Origami to Life: Artistic Folding Techniques Learn and Workshop: Introduction to Modular Origami Polyhedra. The workshops will cover how to make everything from paper cranes and paper boxes to advanced techniques of combining two different geometric elements. The Maui Arts & Cultural Center (MACC) is holding two workshops for those that are interested, one in the morning and one in the afternoon. When: Saturday, September 1st, 2018 from 9:00am to 12:00pm and 1:00pm to 4:00pm. Where: MACC. Cost: $60 (includes materials). Contact Shannon@mauiarts.org to reserve a space. Come out for a great cause and support Maui’s elderly community by attending the Kokua for Kupuna- Fundraiser for Hale Makua Health Services. Funds raised will continue Hale Makua’s 70 year legacy of providing care and a home for Maui’s kupuna in need of a home and round the clock care. While not only for a good cause, enjoy live local entertainment by Amy Hanaiali’i, Raiatea Helm and Napua Grieg. Dining options will include a traditional Hawaiian luau dinner with two cocktails, beer or wine included. When: Saturday, September 8, 2018 from 5:00pm to 9:00pm. 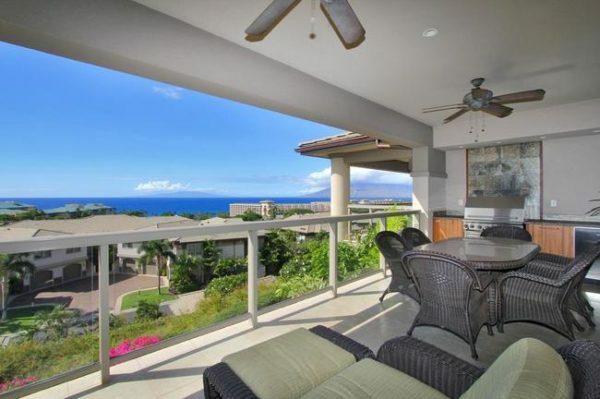 Where: Sheraton Maui Resort & Spa on the Ocean Lawn. Got a stubborn knot in your neck or shoulders? Tech Neck: Yoga for Neck and Shoulders got you covered! This comprehensive 2 hour course on unwinding the neck and shoulders will teach you ways to get out those kinks and get you back to feeling your best. Upon completion, you will be able to identify patterns that lead to pain and fix the most stubborn tension with science-based exercises, self-massage and postural awareness. Early enrollment earns you a free tool kit ($10 value) and guarantees your spot in this Labor day weekend event. When: Sunday, September 2nd, from 11:00am to 1:00pm. Cost: $40. Where: Afterglow Yoga Studio Kihei. In conjunction with the Hawai‘i Tourism Authority and sponsored by Ulupono Initiative (a Hawaii based venture capital fund dedicated to Hawaii and environment friendly investments only), Maui Nui Botanical Gardens will host the 2nd annual Lā ‘Ulu: Breadfruit Day! This free community event will include a variety of food booths, live breadfruit cooking demonstrations, a Hawaiian plant sale, and cultural activities including Hawaiian music and hula! When: Saturday, September 8th from 10:00am to 3:00pm. Where: Maui Nui Botanical Garden in Kahului. Kū Mai Ka Hula is one of the Valley Isle’s leading individual and group hula performances. Special guest hālau’s from Japan and Hawaii include male and female dancers performing both kahiko (traditional) and ‘auana (modern) hula stylings. Attendees can also browse and shop displays of made-in-Hawai‘i products from an array of crafters and artisans. When: Saturday, September 8th from 1:00pm to 3:00pm. Where: Maui Arts & Cultural Center. Cost: $25. 13th Annual Maui ‘Ukulele Festival is a relaxed afternoon event on the lawn as acclaimed ‘ukulele musicians fill the air with island music! It’s a beautiful day for the whole family with visitors and residents alike in attendance, and best of all, it free admission for all that attend. Several ‘ukulele will be featured as door prizes, and the festival will also display made-in-Hawaii arts and crafts, as well as have ono-licious island foods available for purchase. When: Sunday, September 30th from 1:00pm to 6:00pm. Where: Maui Arts & Cultural Center. Cost:FREE!